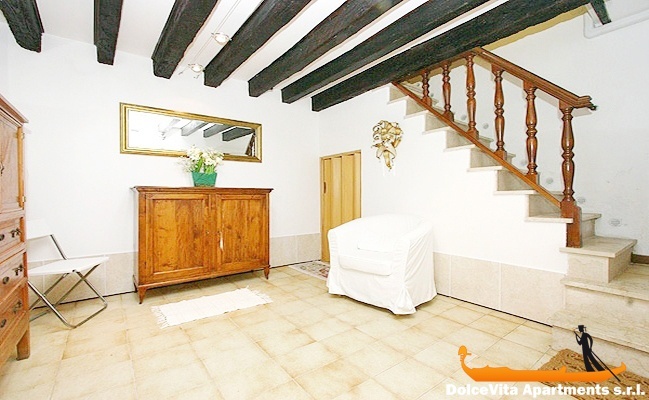 Apartment N. 65: It can accommodate up to 5 people, it is rented from 113 € per Night (not per person). 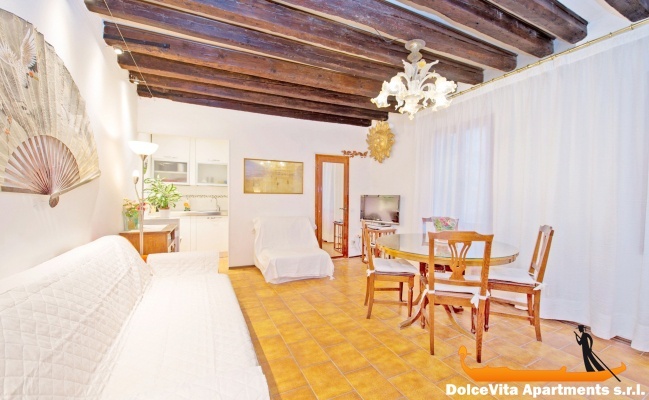 This Venice apartment is in a central location where you will find all the main destinations in no time. 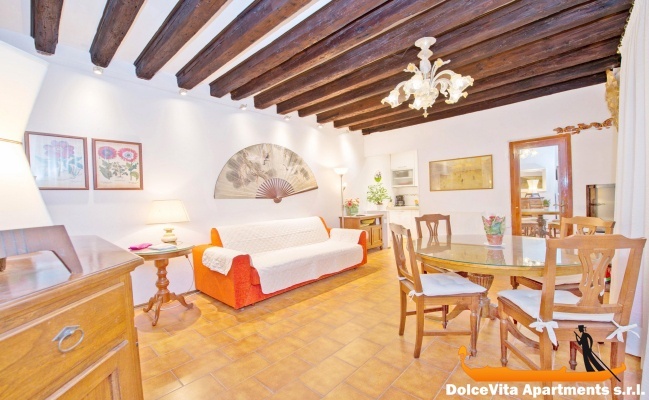 By walking, you will be in 8 minutes to Rialto Bridge and to St. Mark Square in 10 minutes. There are also many museums, nice squares, very charming little restaurants, all nearby. The apartment has a large living room with sofa bed, dining table, chairs and TV, the windows overlooking the neighbourhood. 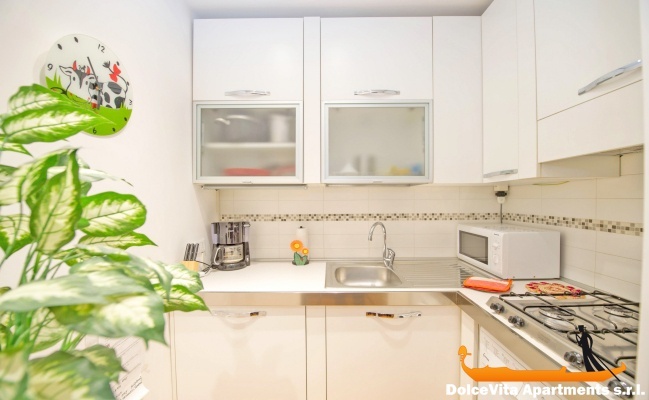 The kitchen is very modern and equipped of all comforts. The bathroom is just renovated and complete with everything you need. The bedroom is very large and welcoming. 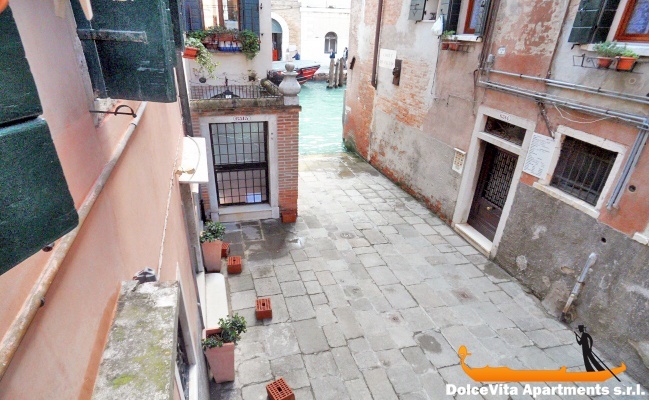 Our stay in Venice was very well spent in a clean apartment, with all the comfort and well located, to which we give the rating of 4/5. Our contact with the rental service was very cordial and we thank you for your professionalism. 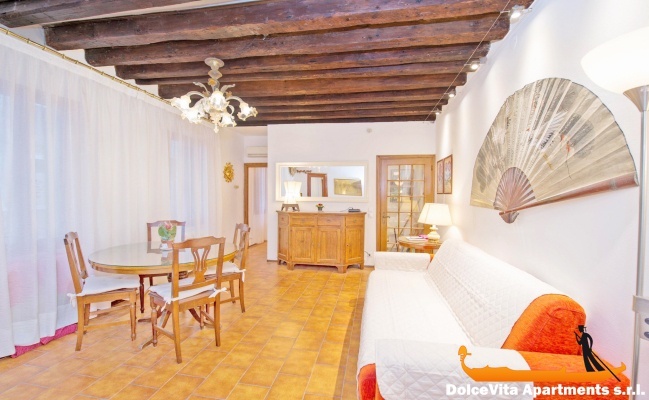 The apartment is comfortable, clean and well equipped and especially its location is ideal to reach the main points of the city !!! The service is efficient and very kind, we arrived quite late but our manager remained with us to explain everything we needed to know and to answer our questions until late. Well situated, complete, clean, near to San Marcos. 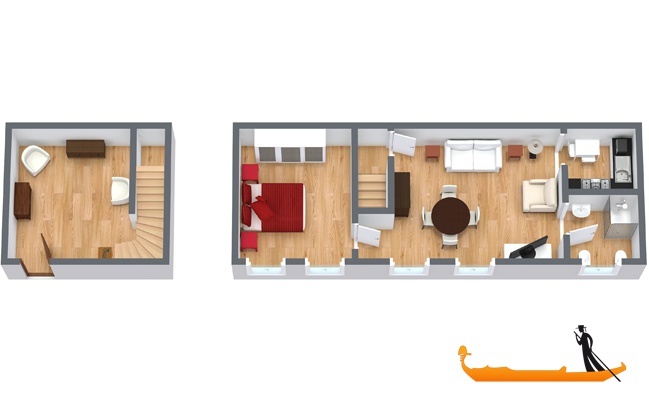 The apartment is functional and it has everything you need for a holiday. The apartment was very nice, very clean, the service great but you should give precise directions on how to get there. This apartment is functional, nothing is missing, decor a bit kitsch.